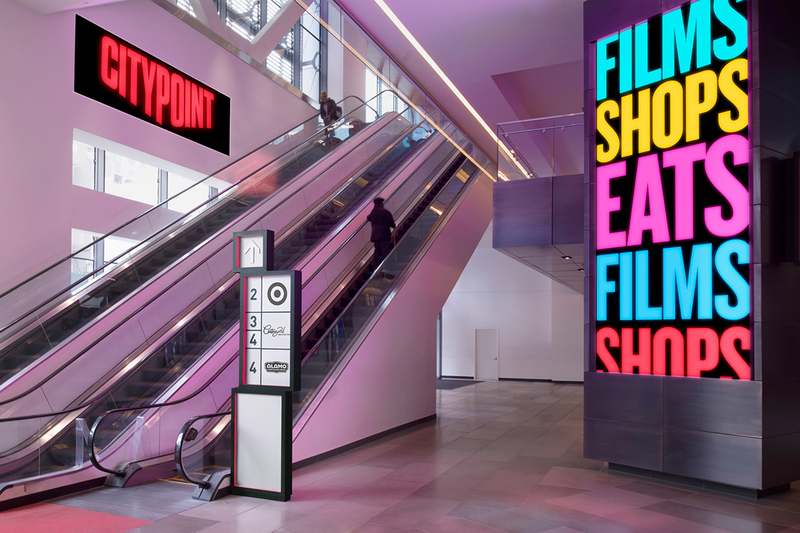 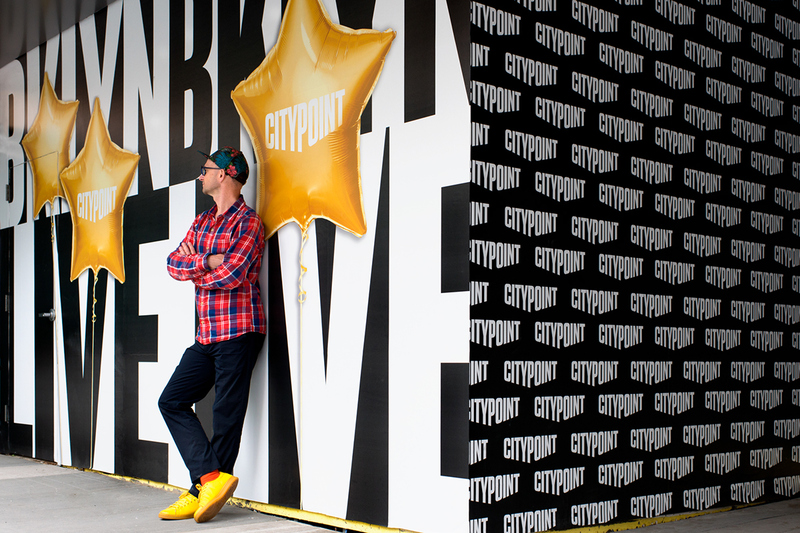 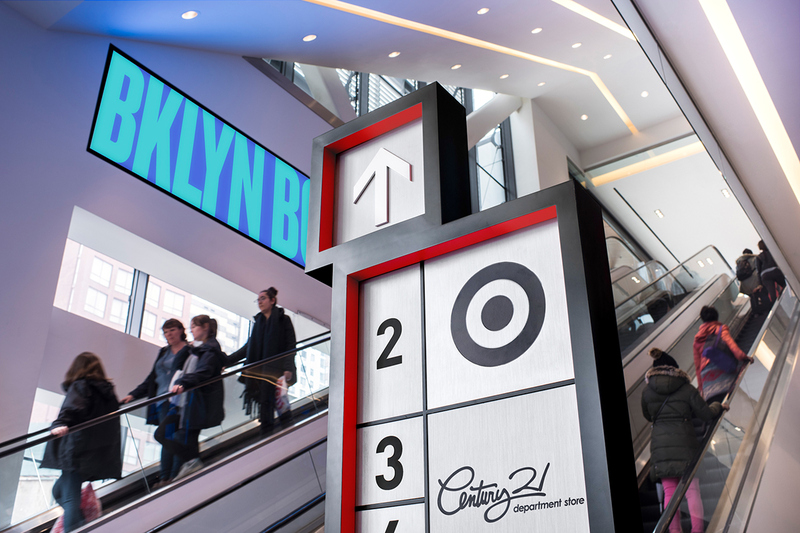 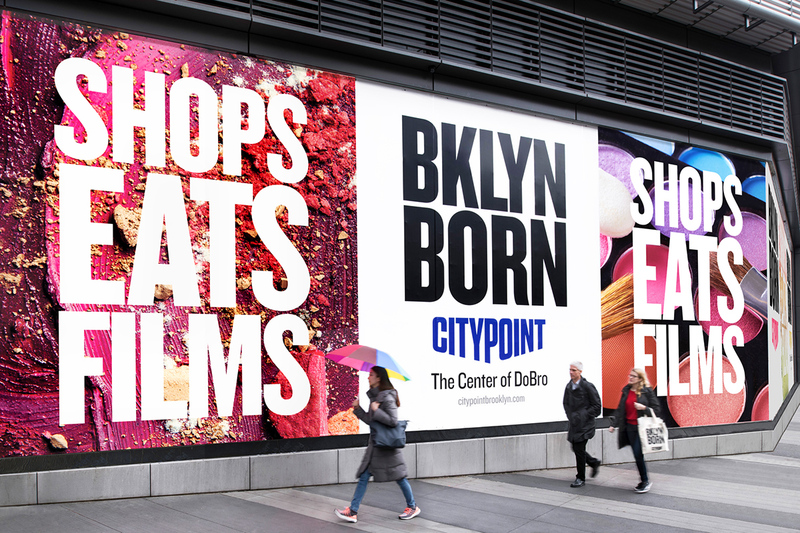 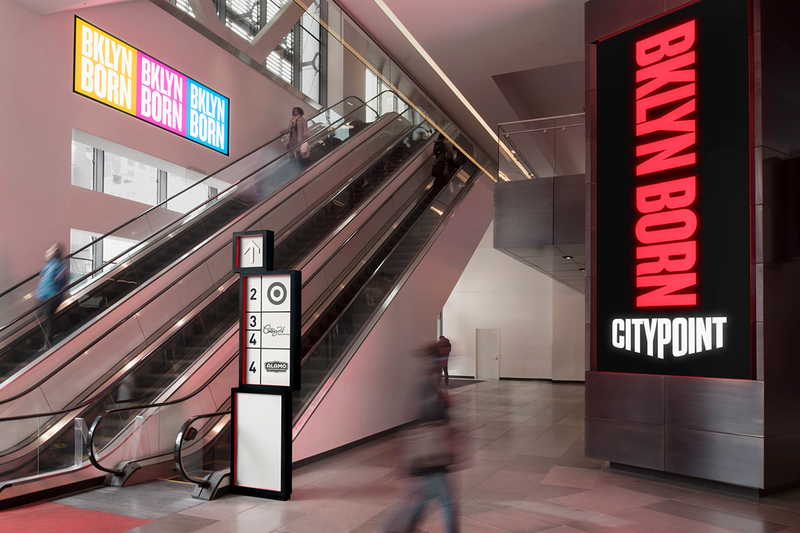 Now fully open, City Point is the largest food, shopping and entertainment destination in the center of Downtown Brooklyn (DoBro). 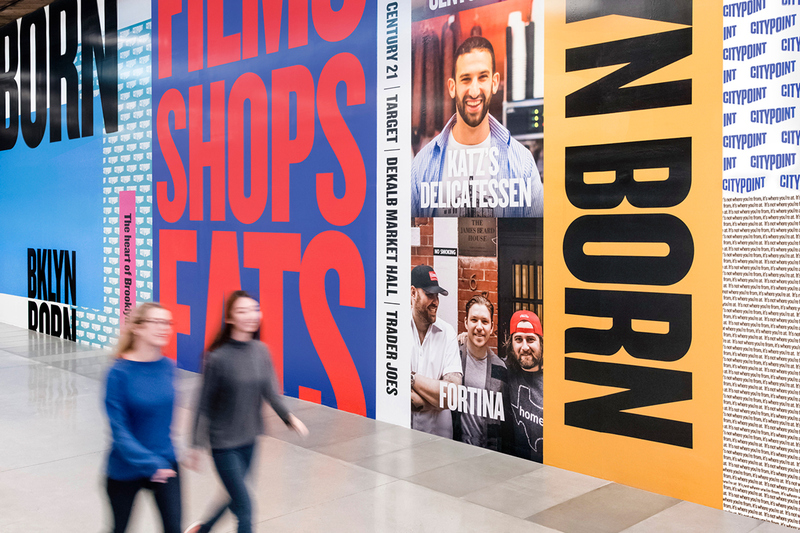 Located at the corner of Flatbush Avenue and Fulton Street, the 1.8 million square foot mixed-use development is poised to dramatically transform the area. 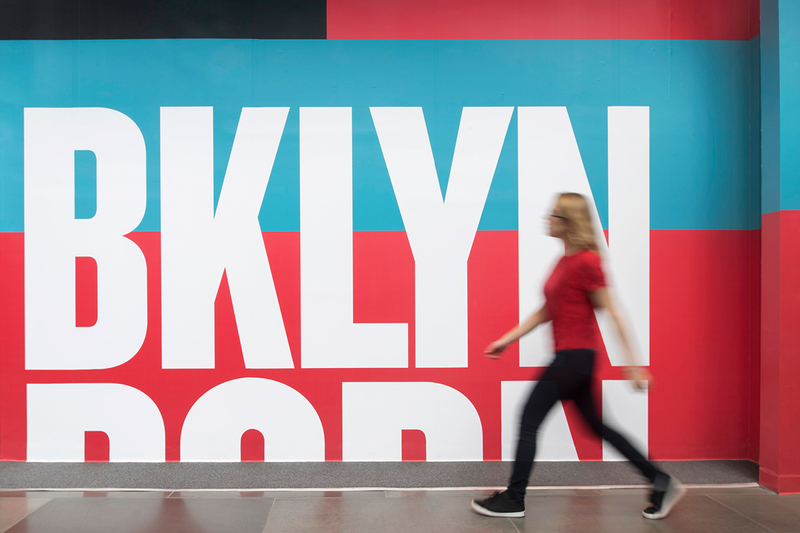 Pentagram has designed a bold and uniquely Brooklyn identity for the project, including its brand positioning, advertising, signage and large-scale environmental graphics. 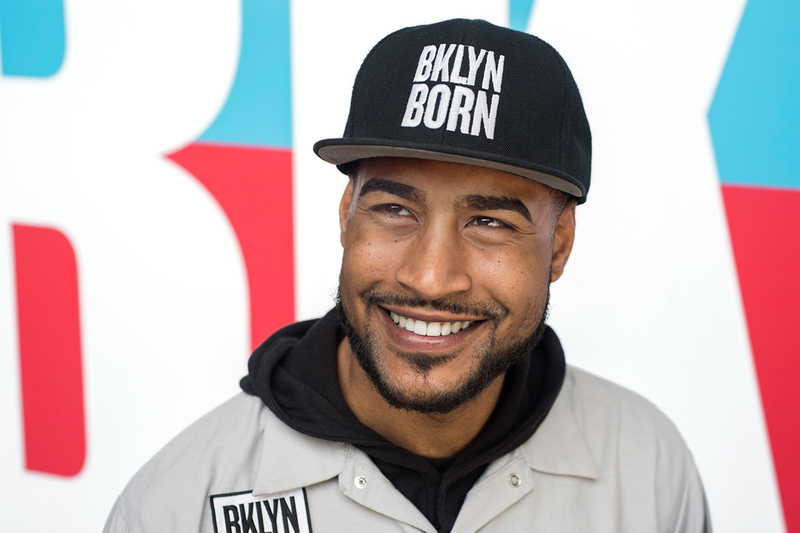 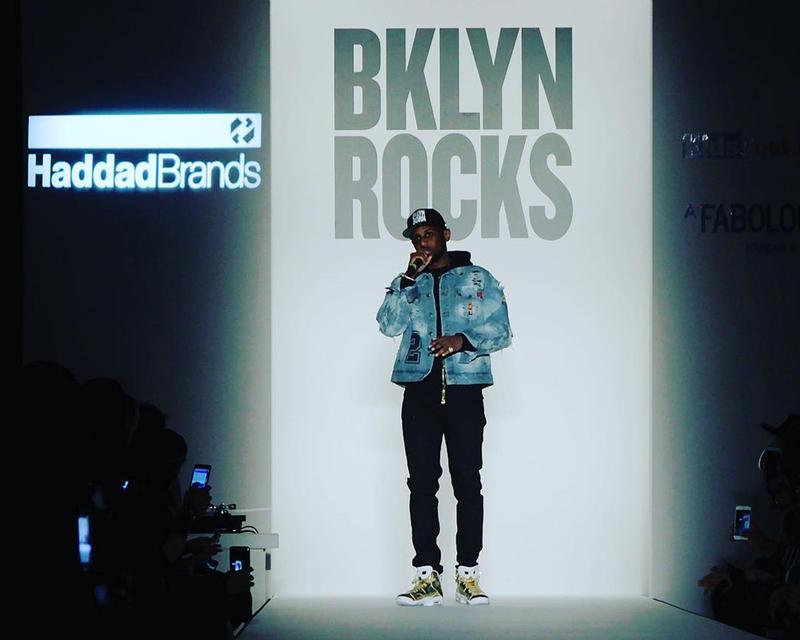 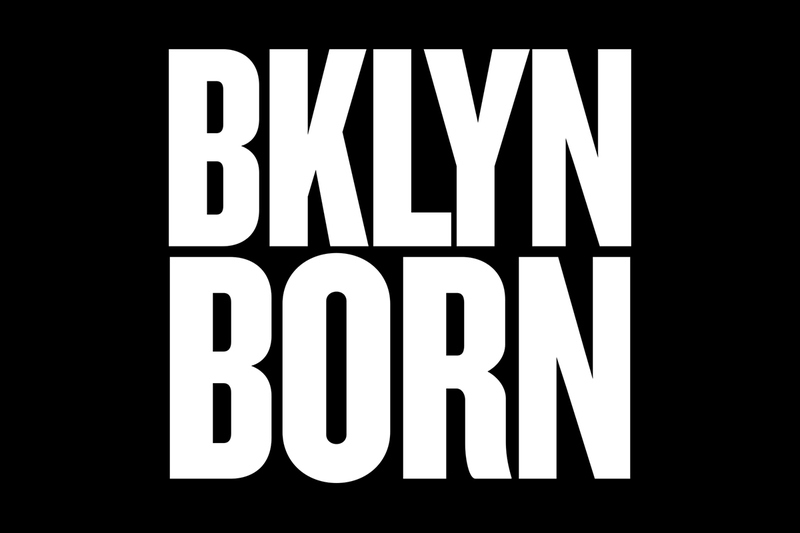 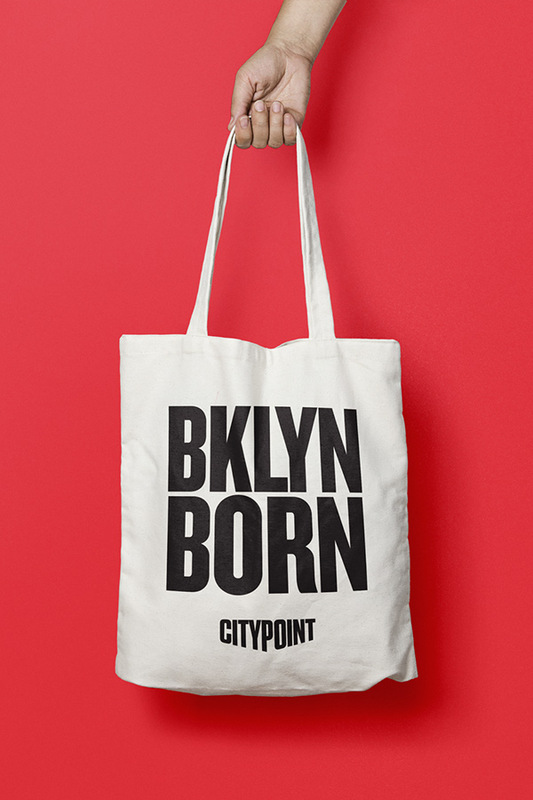 The identity is focused on a proud and loud declaration—“BKLYN BORN”—celebrating the project’s significant local engagement in a borough that prides itself in deep-rooted authenticity. 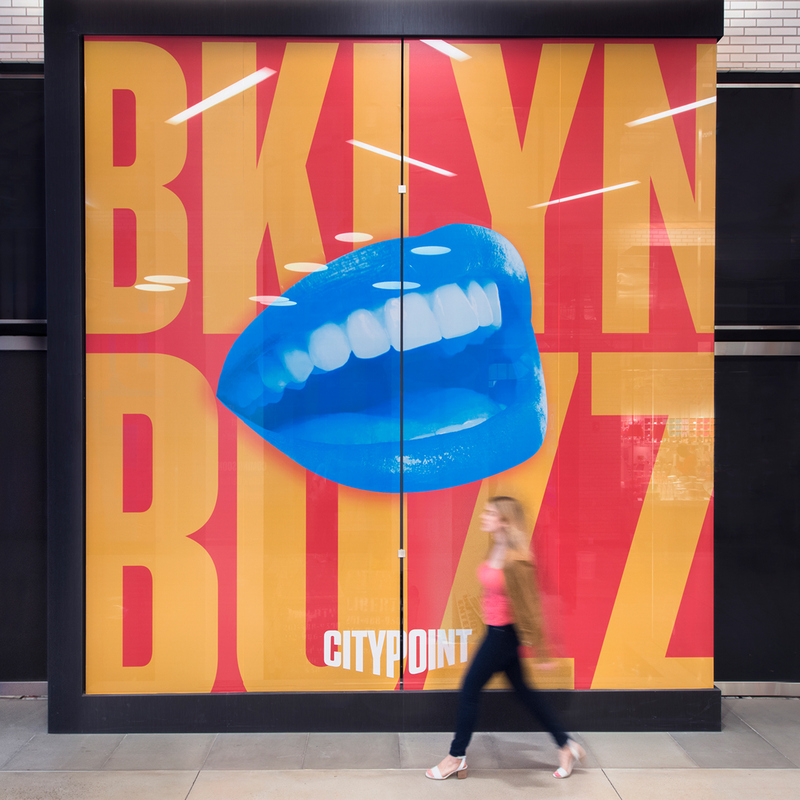 The Pentagram team shaped the program to express Brooklyn’s diversity and inclusiveness. 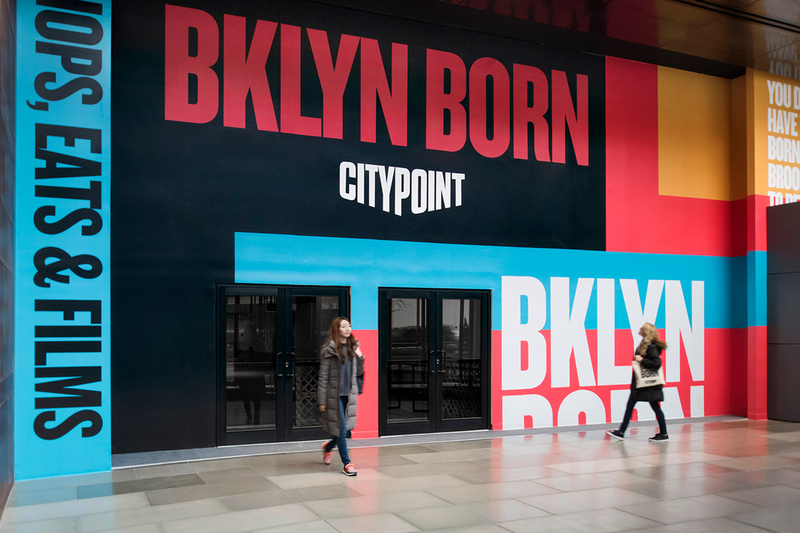 True to its name, City Point is rising at the heart of the borough, where several iconic Brooklyn neighborhoods and landmarks converge. 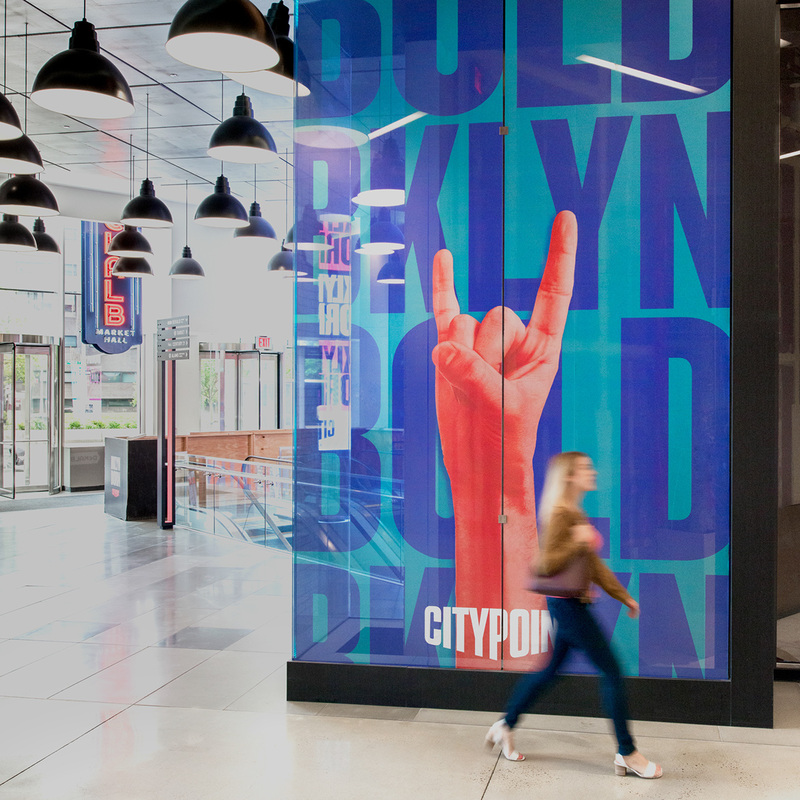 Located along the borough’s busiest retail corridor, City Point is a gateway to the best of Brooklyn’s food, culture, fashion and nightlife. 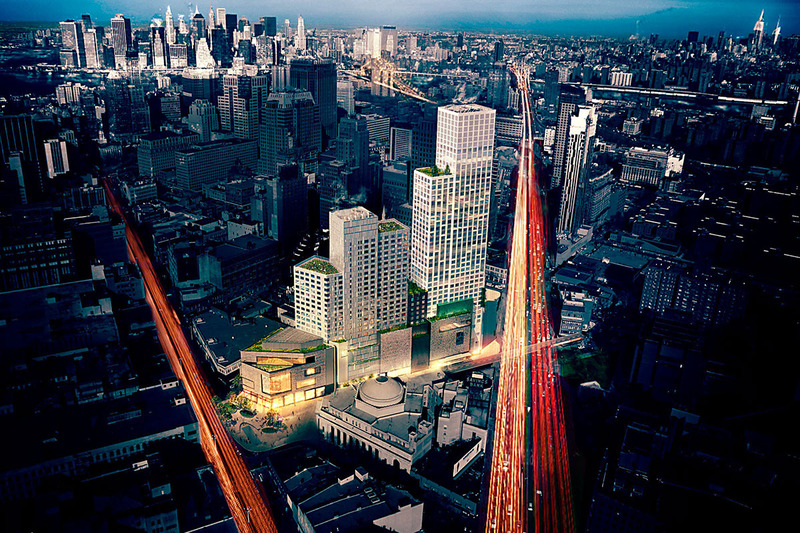 The development is at the center of a vibrant area that links Downtown Brooklyn to its surrounding neighborhoods. 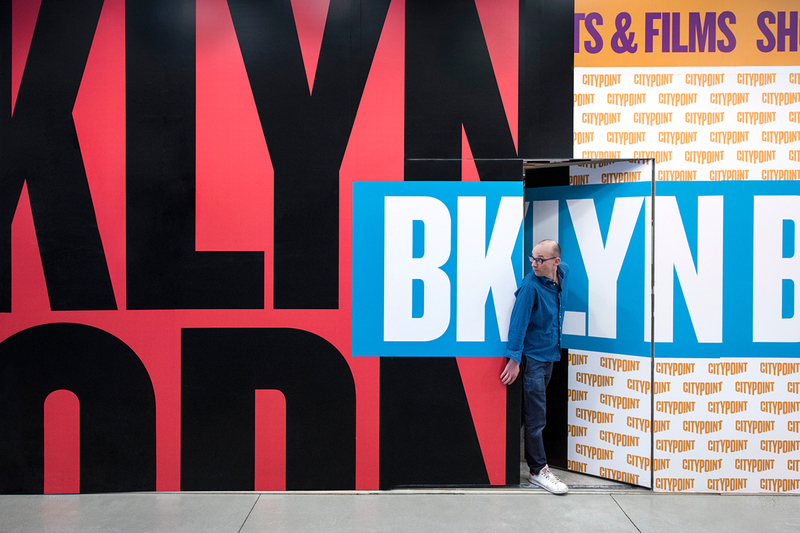 It is located within an area that includes everything from the world-class arena Barclays Center, the cutting-edge performing arts of the Brooklyn Academy of Music, and the classic cheesecake of Junior’s diner. 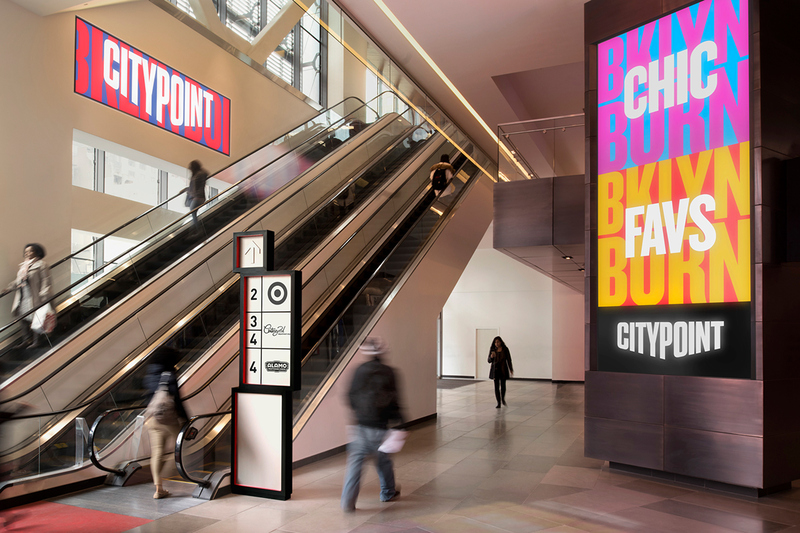 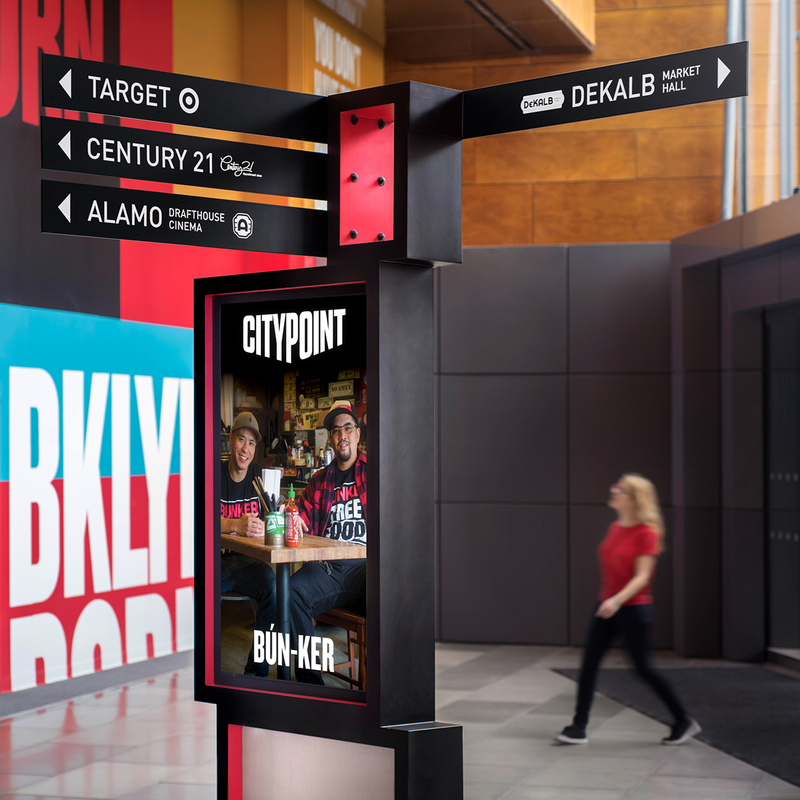 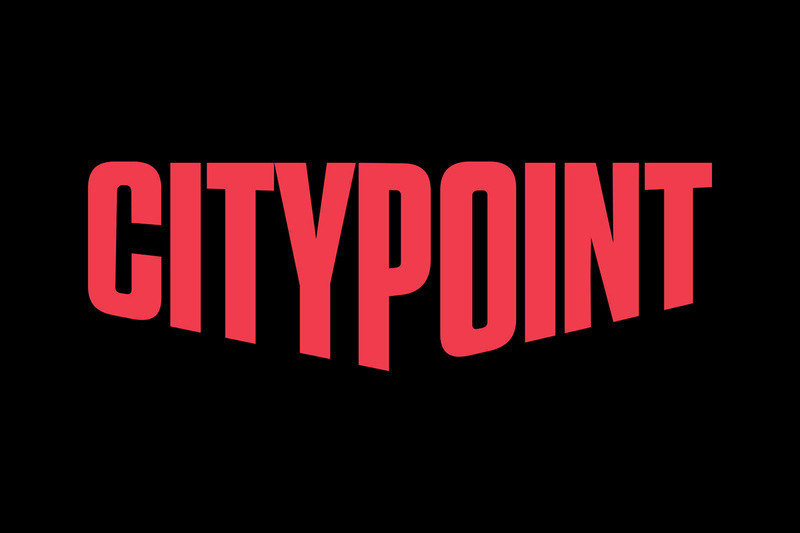 Built by local employees, City Point is designed by the architects COOKFOX and encompasses a group of residential high-rises, including a 57-story tower that is one of Brooklyn’s tallest; an indoor retail street; the DeKalb Market Hall; a mix of Brooklyn-based shops and restaurants; New York’s first Alamo Drafthouse Cinema; the first Brooklyn outpost of Katz’s Delicatessen, and new locations for retailers Century 21, Target and Trader Joe’s. 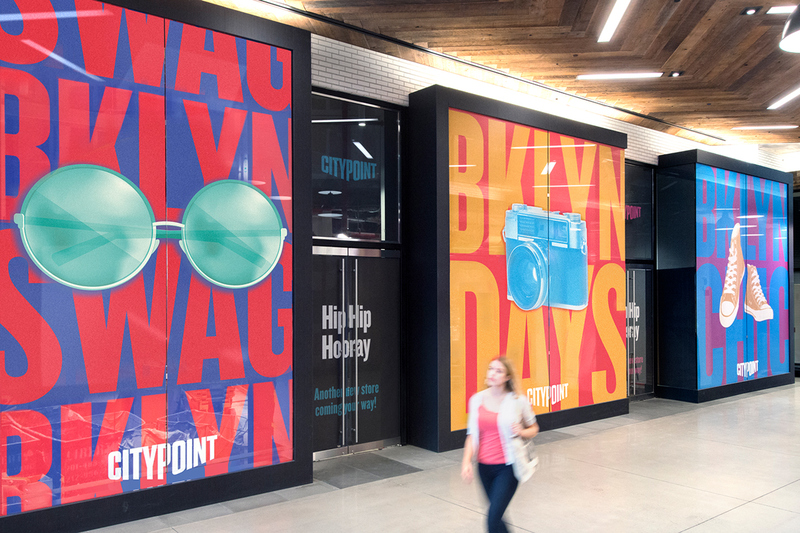 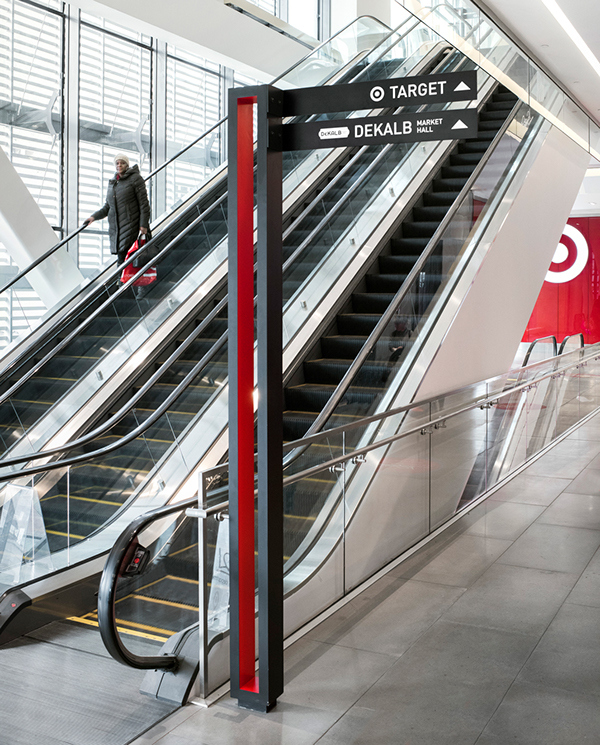 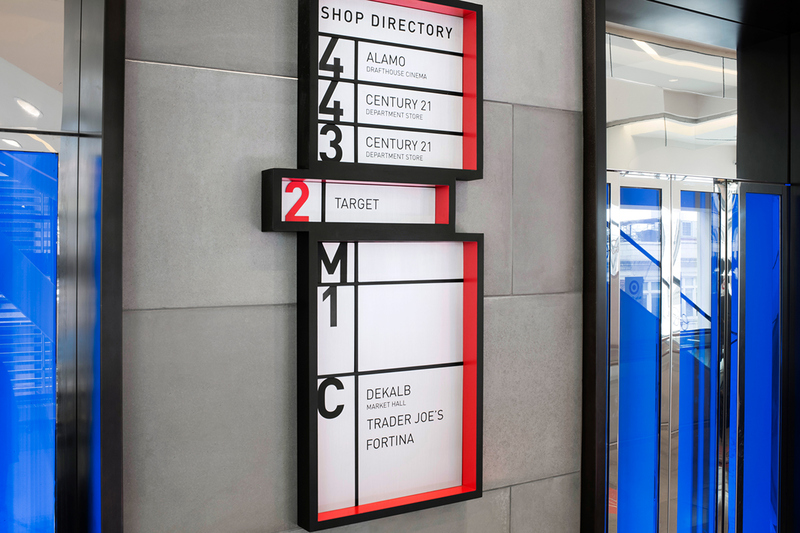 Pentagram worked closely on the project with Acadia Realty Trust, which is developing City Point in partnership with Washington Square Partners and Extell Development.